A big thank you to Woolworths who are helping us to kick goals for Blue Ribbon Day. 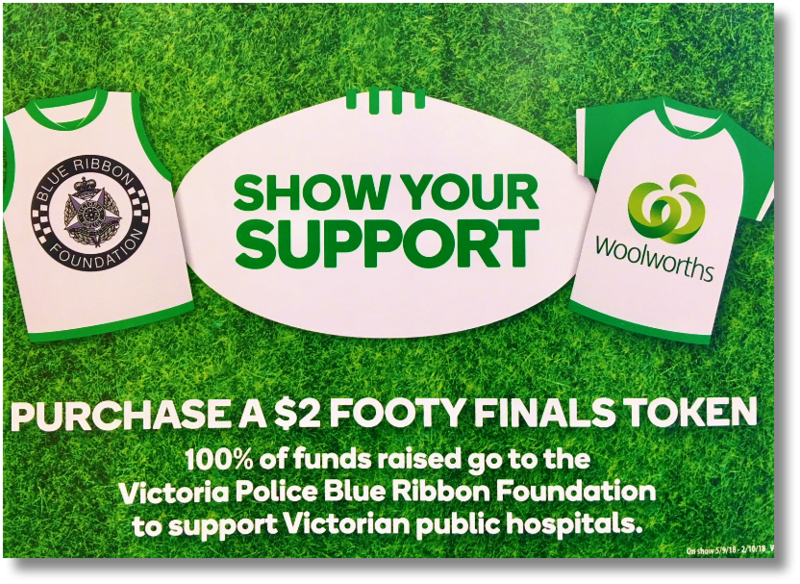 Until 2 October you can donate or purchase a $2 footy jumper token at Woolworths Victorian supermarkets. You can add your name to the token to be displayed instore as a public show of support. 100% of funds raised goes to the Victoria Police Blue Ribbon Foundation to continue our work in supporting public hospitals with life saving projects honouring the 159 police officers who lost their lives in the line of duty.